You heard that right! 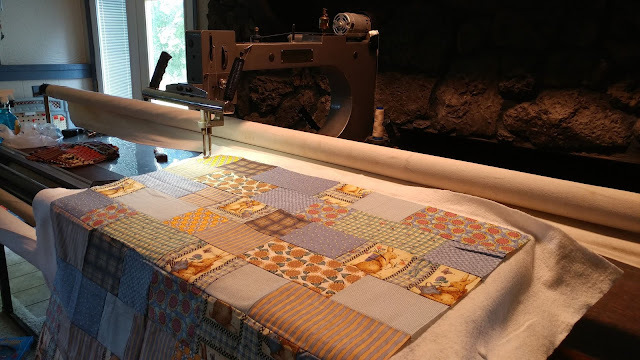 My number one business goal for the year was to buy a longarm, and it happened this week!! I just barely got it set up and needed to test drive it and see what needed to be adjusted, etc, so decided the best use of that time was to use my charity quilts as the test pieces. The quilting was SO much faster than my usual domestic routine. 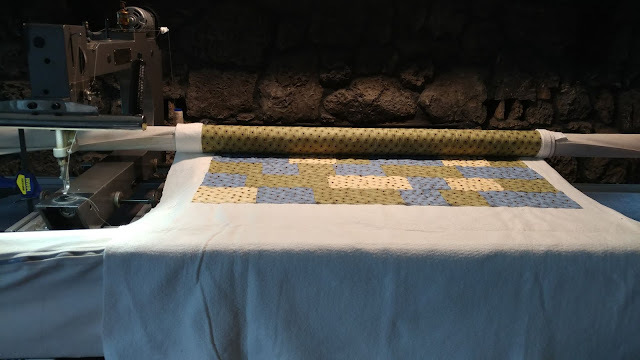 I'll share more about the longarm soon! So this month (actually, all yesterday!) I quilted five of the quilt tops I had pieced in previous months. I used a large free-motion meander on all five quilts. It's a design I can quilt very quickly. I used batting scraps for each one. One is polyester batting, but the others are scraps of 80/20. For thread, I used what came on the machine. The previous owner told me it was "40-Tec." 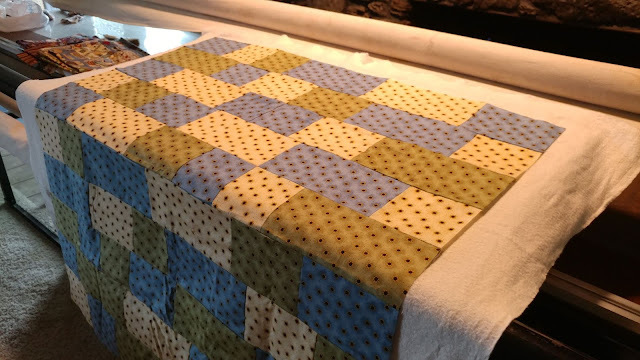 It's a neutral tan that worked well on all five of the quilts. I didn't always match the bobbin thread. I tried using up some bobbins the previous owner gave me that already had thread on them. All were a neutral thread, but some were lighter and some darker than the top thread. 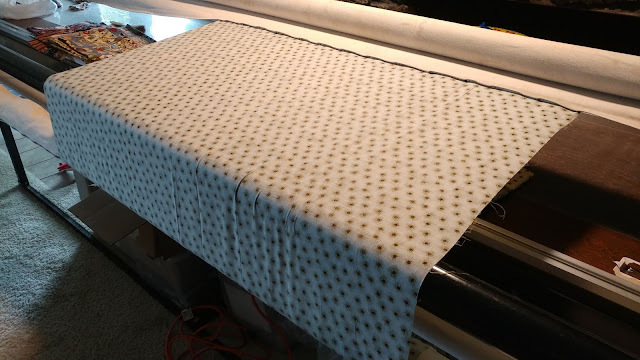 I am so excited for the increased productivity the coming months will have with the addition of the longarm! Although I didn't "finish" any quilts this month, I am very pleased with the progress! And know I'll be making many many charity quilts very soon!! 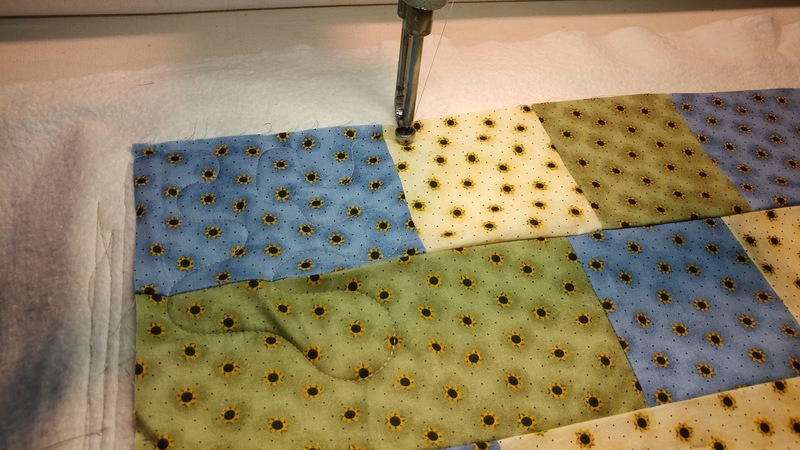 Have you done any charity sewing or quilting this month? Link up! Congratulations! That's so exciting that you were able to get a longarm. I know it will make a big difference for you. Sew happy for you, Laura! I can't wait to hear more about it! What great news! You are going to love this! It is a great way to get a lot of tops done, and you are so productive, I think you will be an expert in no time. Congratulations, Laura. I know you will put it to good use. Looks like the garage got taken over. I was thinking about what would happen if I had a longarm....would my husband finally finish the sewing room (started 20 years ago) to get me out of the living room..Ha, Ha. I don't think my shoulders are up to this. But I look forward to seeing your progress. 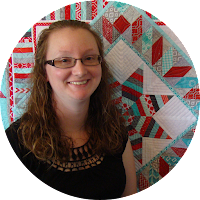 Congratulations on getting a longarm! I look forward to hearing more details about it later. 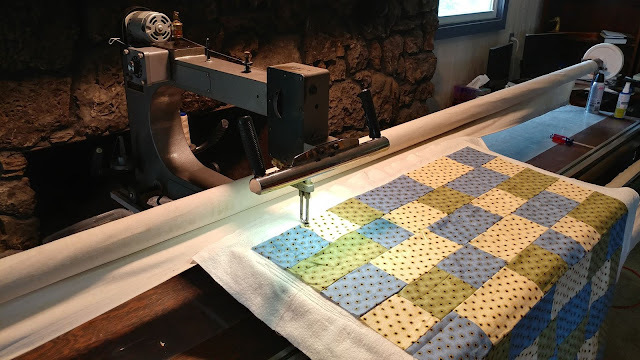 How awesome to get 5 charity quilts quilted in a day. 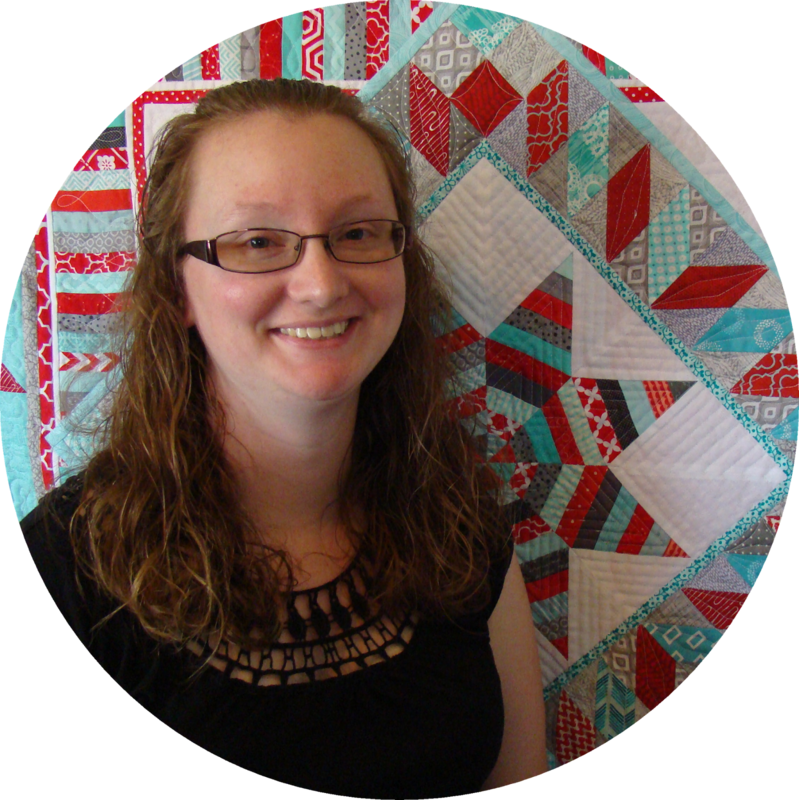 I look forward to seeing how you grow with the longarm. Congratulations!!!! I know that your long arm will see a lot of use! Hi, Laura, Great post. You'll be meeting your goal for sure as you're pacing yourself very nicely. So fun to read that you now have a longarm. 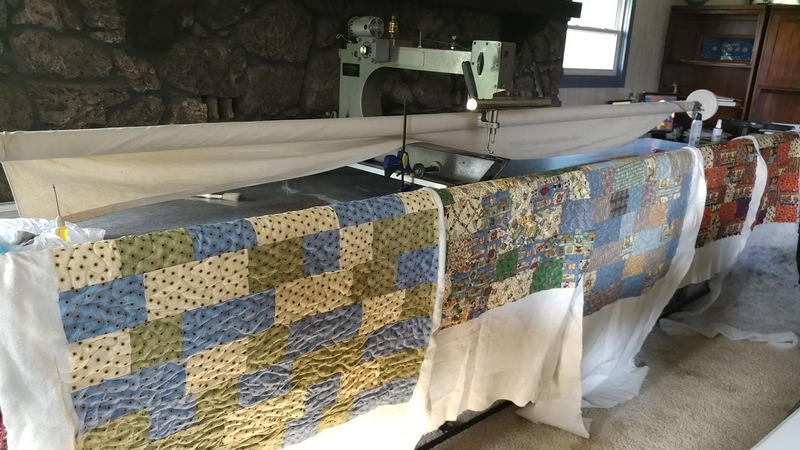 Now you'll be able to make even more quilts.